For very long years every organizations using distribution lists to communicate and collaborate with group of people both inside and outside the organization. Now in cloud environment, Office 365 Groups provides more powerful solution for team collaboration along with the same features of distribution list. In this post, I am going to share the easy steps to convert/upgrade distribution lists to office 365 groups. 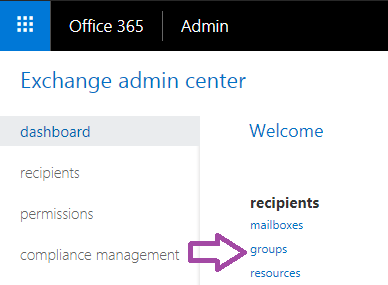 Note: You must have a privilege of Office 365 global admin or Exchange admin to upgrade a distribution list. Go to Office 365 Admin center. 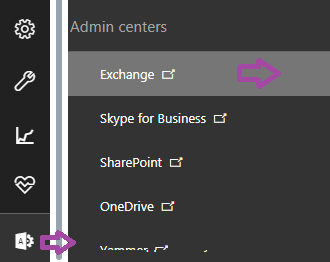 In the left navigation, expand Admin center, and then select Exchange. In the Exchange admin center, under recipients, select groups. 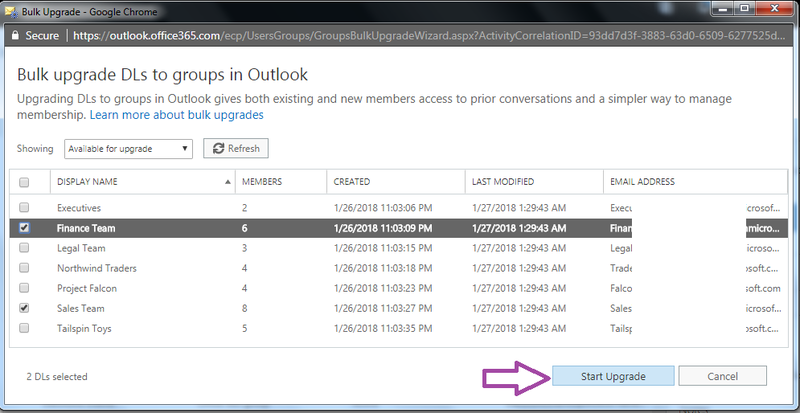 Now you can see Upgrade Distribution Groups option with the message "You have distribution lists that are eligible for upgrade". Click the Get Started button to proceed next. Now you can see the Bulk Upgrade page, select the required distribution lists that you want to upgrade and click Start Upgrade button as shown in below image. In the next dialog, choose OK to confirm the upgrade and the process begins immediately. Depending on the size and number of distribution groups that you selected, the process can take minutes or hours.